Ceramic or Porcelain fused to metal is the standard type of crowns & bridges. They stood the test of time. They have a metal substructure and require on opaque below the porcelain. 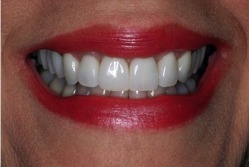 This can make translucency of natural teeth difficult to replicate. 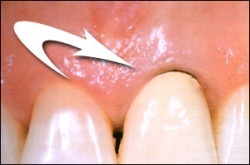 Occasionally a darker line will be visible at the edge of the crown, near to your gum when it recedes with age.